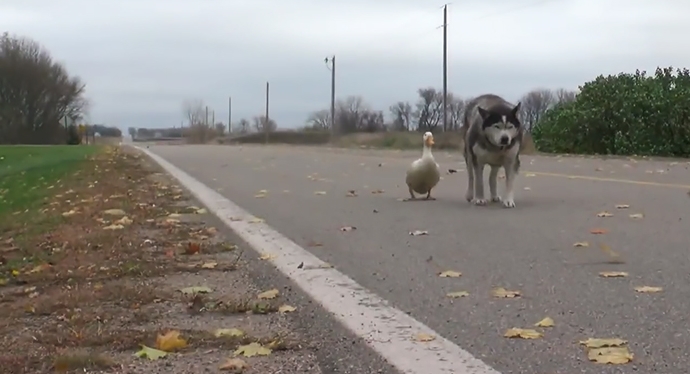 Interspecies relationships aren’t just about fighting for survival. 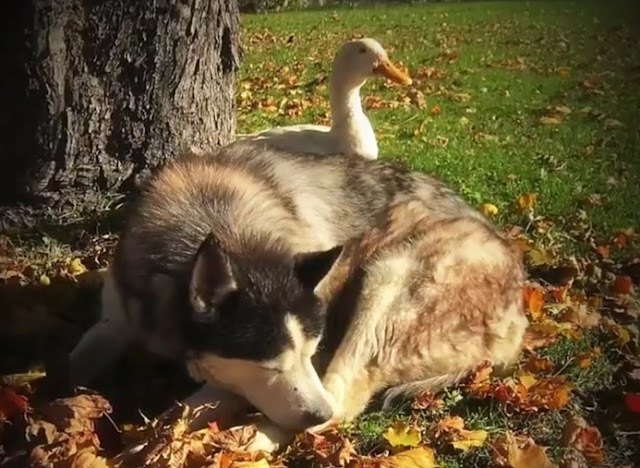 Sometimes animals form the most unusual friendships, and this story is perfect proof that fur and feathers can get along just fine. 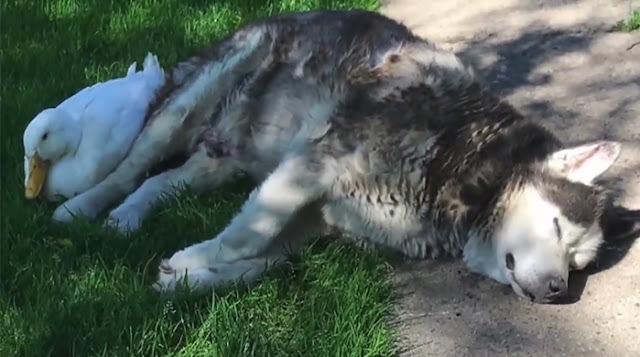 Max the dog was 5 years old when Patrick and Kirsten Riley of Strout, Minnesota adopted him. He quickly became friends with Sasha, another Husky they had at the time. However, Sasha’s time ran out and she passed away, opening a void of loneliness in Max’s heart. A void that was soon filled by a duck. Most of the time the pair is hanging out along Highway 28. Their bond is so beautiful, people even stop their cars to appreciate it. Strout is only 25-residents big, so the pair has become well-known in the area. “Sometimes on my way home, I actually hope they’re out there because they’re just too precious to look at,” neighbor Alisa Godejahn said. 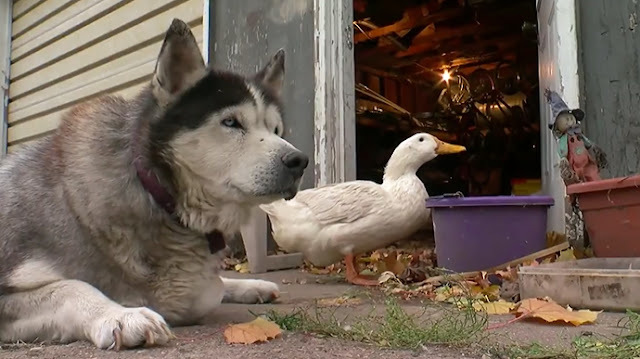 Responses to "Friendship Between A Husky And A Duck Surprised A Small Town In Minnesota"
Wonder when this relationahip started - ducks imprint very easily when ducklings......does this dog live OUTSIDE? Do both go in house? Need some details here folks - lovely story though.